I wasn’t sure what to expect from this debut from Teresa E. Harris. The cover looked intriguing – a young African-American girl skipping a rock across a pond. It’s written in first person present – the POV I had been using to write my current story. So, I opened up the pages and dove into one of the most beautiful and heartfelt novels I’ve read this year. You’ll find humor, a small mystery, and the absolute spot-on voice of Treasure, our young protagonist. The perfect place for me this holiday season was THE PERFECT PLACE. FULL PLOT (From Amazon): Treasure’s dad has disappeared and her mom sets out to track him down, leaving twelve-year-old Treasure and her little sister, Tiffany, in small-town Virginia with their eccentric, dictatorial Great-Aunt Grace. GAG (as the girls refer to her) is a terrible cook, she sets off Treasure’s asthma with her cat and her chain smoking, and her neighbors suspect her in the recent jewel thefts. As the hope of finding their dad fades, the girls and their great-aunt begin to understand and accommodate one another. When a final dash to their dad’s last known address proves unsuccessful, Treasure has to accept that he’s gone for good. When she goes back to Great-Aunt Grace’s, it is the first time she has returned to a place instead of just moving on. Convincing, fully realized characters, a snarky narrative voice, and laugh-aloud funny dialogue make The Perfect Place a standout among stories of adjustment and reconfigured families. This could have turned into a whiny “Whoa me, Daddy left us again” kind of story but it was far from that. The setting along with Treasure’s authentic 12-year-old voice made sure to keep the story moving into areas of discovery for herself, her sister, and her mother. Treasure has asthma and the scenes that brought her condition into focus were realistically written. When the secondary characters are as interesting as Treasure, you know you are in for a great ride. Great-Aunt Grace would be any kids’ nightmare, younger sister, Tiffany, is often a pain, and a quiet boy named Terrance is the perfect new friend. Treasure’s interactions with each of them were memorable, often heart-breaking on one page and hilarious on the next. We have a smart African-American girl as the central character. Enough said! The ending you knew was coming arrives, but then it takes off in a different direction. “Surprise your readers” is an often heard quote and the author succeeded. I’m either going to get some kind of poisoning from eating undercooked pork or lose a tooth. She places something in front of me that looks like a bowl of spitballs. Next week for MMGM I have another huge giveaway to celebrate my favorite MG reads of 2014. 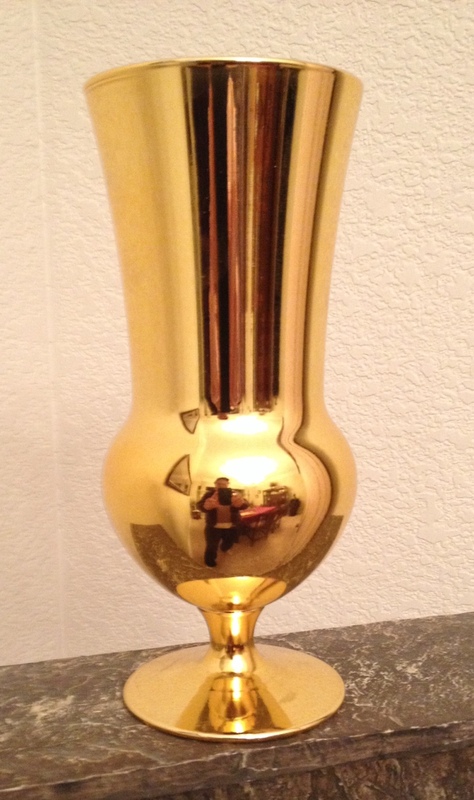 Yes, it’s the 2nd Annual Golden Cup Awards. I hope you will stop by for a chance to win some great books to start your new year off in the perfect way. 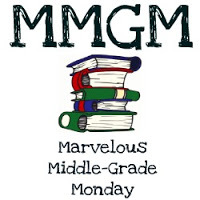 Check the links to other Middle Grade novels over at Shannon Messenger’s Marvelous Middle Grade Monday post. 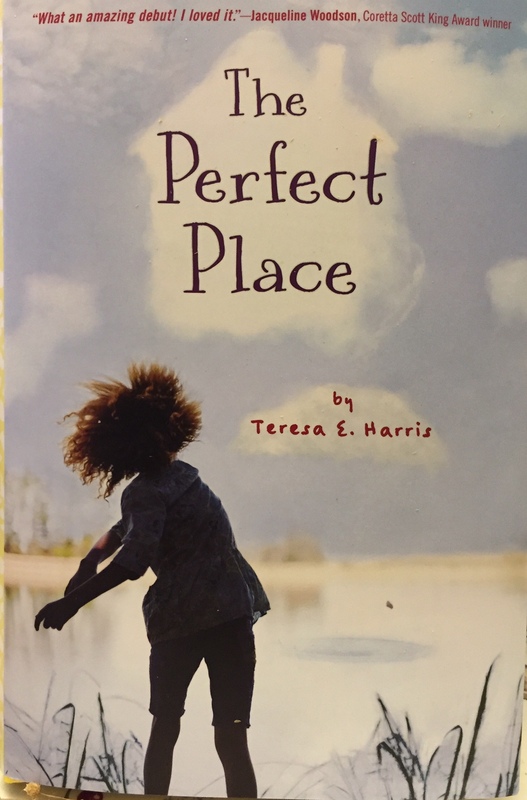 This entry was posted in Reviews and tagged Middle grade, Teresa E. Harris, The Perfect Place. Bookmark the permalink. This sounds like a very great read with very realistic characters struggling to deal with a difficult siutation in the best way they can. Can’t imagine the ending. Intriguing share. I like that you mention it’s not a whiny story. That’s really good. I also like that the MC has a health roadblock. Makes her more real. Thanks for sharing this one! I haven’t read this one, but I will put it on my TBR list for sure. Thanks for the review. Have a lovely Christmas. I love it when I can dive into a story and lose all sense of where I am in time and space. This one I’m making a note of. Thanks for the great review. I love endings with a surprise twist! Thanks for the review. definitely something I would love, since I suffer from asthma too and like when that’s an obstacle for a character. sounds great.